Best Practices for Mail Screening and Handling Processes | Phillips Group Inc. Given the recent events in Austin, Texas with the package bombings, we wanted to take a minute to briefly discuss best practices for mail/package screening. Mail screening is both an art and a science. Threats in the mail stream are continually changing. New explosives, new electronic trigger devices, and new biological and chemical substances are appearing at more frequent intervals. Nuclear proliferation is making radioactive materials potentially more available than ever before. Terrorists/criminals are hiding explosives in common office supply items and electronic devices, making them increasingly difficult to detect. Loading docks and delivery vehicles often provide easy access to buildings. Mail screening processes must therefore be both appropriate for today’s threats and flexible enough to deal with the sudden appearance of currently unknown suspicious substances or delivery mechanisms. If you are not doing so already, all personnel should receive at a minimum annual training on identifying and handling suspicious mail and packages. It is important they understand the risks associated with the various threats that can be introduced through the mail, the characteristics of each, and the proper response to suspicious items. Posters, videos, and online training packages are available to help mail center managers conduct training. Organization security personnel, United States Postal Inspection Service (USPIS), and security contractors can provide suspicious mail training to personnel where needed. Personnel should also receive training in suspicious mail response procedures. This training includes the handling of suspicious mail and packages, communications with other personnel and the organization’s management and security personnel, evacuation procedures, interacting with first responders and public health officials, and when necessary, follow-up decontamination procedures. When conducting incident response training, it is important to involve all the first responder and public health organizations likely to be called to an incident at a facility. In doing so, personnel, first responders, and public health officials become more comfortable working with one another. This training would also reduce the likelihood of an overreaction and a major disruption if an incident does occur. Managers and the organization’s security personnel should conduct regular rehearsals and evaluate the performance of the facility. Remain calm. Alert others in the immediate area that you have identified a suspicious item. Ensure that the organization’s security director, local law enforcement and first responders are notified. If in a multi-tenant facility, building management should also be contacted. Do not attempt to move the suspicious item. 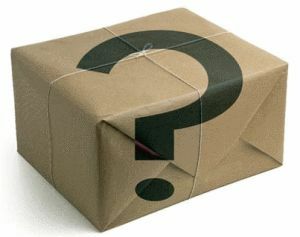 Put the envelope or package on a stable surface if it is currently being carried or handled by mail center personnel. Do not sniff, touch, or taste any contents that may have spilled. Do not shake or empty the contents of a suspicious letter or package. Do not carry the letter or package or allow others to examine it.